Here's “WHY HAVE YOU BROUGHT ME HERE? 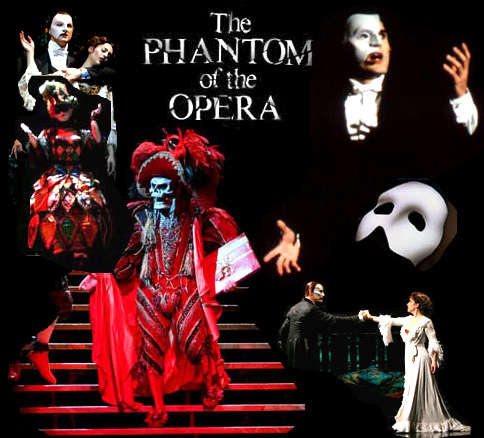 RAOUL, I'VE BEEN THERE” LYRICS performed by PHANTOM OF THE OPERA. Christine, don't say that . . .
Don't even think it . . . Forget this waking nightmare . . . The Phantom of the Opera will kill . . . This phantom is a fable . . .
. . . and kill again! There is no Phantom of the Opera . . .
My God, who is this man . . .
. . . who hunts to kill . . .?
. . . this mask of death . . .? I can't escape from him . . .
Whose is this voice you hear . . .
. . .I never will!
. . . with every breath . . .? inside your/my mind . . .
unending night . . .
into darkness . . .
in that darkness . . .
with a strange, sweet sound . . .
heard before . . .
and nothing more . . .
and adore . . .